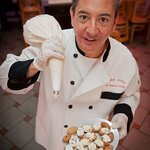 Don't Just Go for the Cannoli! 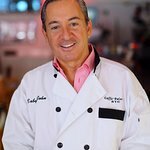 Being gluten free, I couldn't sample the cannoli -- but my husband and I could taste the sorbet and gelato! Both are excellent!! As is the coffee. On a hot day -- the iced coffee and sorbet and gelato are great choices. [Hint: try the mango sorbet!] Our waitress was the best! Give yourself a little break and treat yourself there. Thank you for stopping in to get some relief from the heat! We are happy to read that you and your husband enjoyed the sorbet, gelato, and iced coffee! We hope to have you back again soon. One of the best atmospheres to be in. Excellent service and food. The desserts are like no other! Will definitely return again when back in NY. Thank you for the kind review and feedback, Marissa! 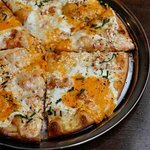 We're glad you have enjoyed your meals with us so much, and we look forward to serving you again soon. Thanks again! 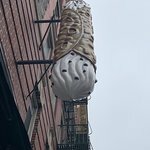 They say it’s the home of “the best cannoli on planet earth”, and they’re not lying! 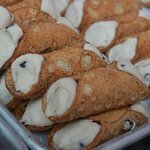 An absolutely authentic and delicious treat while exploring Little Italy. Slightly pricey at $15 + tip for a cappuccino and a cannoli, but truly a worthwhile indulgence! Fajzh, thank you for the kind words about your stop with us! 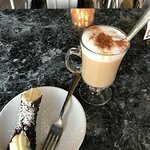 We are happy to read you enjoyed the Cappuccino and Cannoli, and we hope you will stop in the next time you are craving the most delicious Cannoli on the planet! 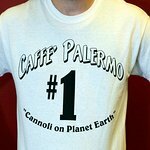 Only went there to grab cannoli from their outside display case. They had a variety of flavored fillings that were all great. 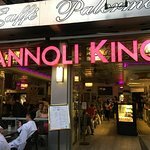 Don't know how other places compare, but Cannoli King was so good you don't need to bother looking. Thank you for the review, Mike. 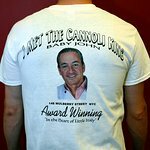 We are pleased to hear that you enjoyed your cannoli and we hope you will visit us again someday soon. Thank you for your business and recommendation. Wonderful service. Served promptly and with a smile. 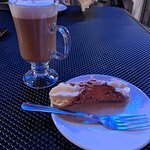 The cappuchino was properly made and the napoleon and cheesecake were enjoyed. 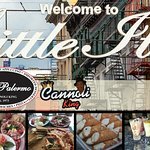 Sit outside and enjoy the people walking on the street - they block off cars to make it a walking street in Little Italy on weekends. Absolutely would return. Reyna, thank you for taking the time to share this kind review of your experience dining with us. We'ere glad you enjoyed your visit, and we invite you back again soon for more.